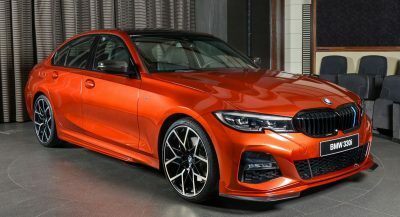 If you like bragging about numbers and have a BMW M140i, you might feel a bit jealous of owners of the more powerful Audi RS3 Sportback and Mercedes-AMG A45. In the BMW, te 3.0-liter six-banger makes 340 PS (335 hp / 250 kw) and 500 Nm (369 lb-ft) of torque, which allows it to sprint to 100 km/h (62 mph) in 4.8 seconds with the stick shift, or 4.6 seconds with the optional eight-speed auto. That’s about to change, however, with the new generation, which is currently in development with some 400 horses from an entirely new unit. 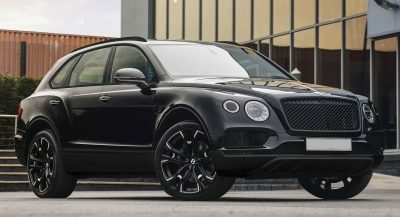 Until it does, though, owners of the outgoing model can choose an upgrade package from different tuners if they want more from their hot hatches, including one from G-Power. 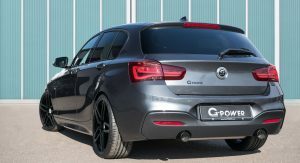 The German tuner can lift the output of the M140i’s straight six to 440 PS (434 hp / 323 kW) and 590 Nm (435 lb-ft) of torque. 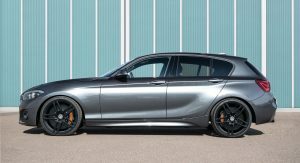 The performance software optimization puts the BMW M140i at the same level as the M3 and M4 models, and increases the car’s top speed to over 280 km/h (174 mph). This will cost you €1,848 (equal to US$2,180) with installation in Germany. 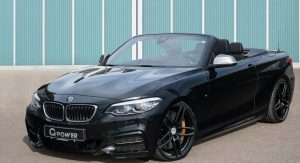 If you want to save a bit, you can order the 400 PS (394 hp / 294 kW) version that still has 30 PS (30 hp / 22 kW) more than the BMW M2. This upgrade is priced at €1,616 ($1,900) in Germany. 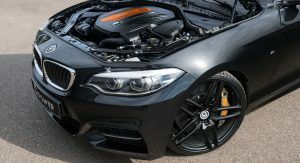 Needless to say that G-Power’s offering suits all other BMWs equipped with the said engine, including the M240i. love it. this version is proper rear wheel drive. I am still shocked bmw will be producing front drive. I never thought i’d see the day of that. They already produced front drive cars with the 2-Series Active Tourer. Trust me, most BMW 1er drivers won’t care which wheels are powered by the engine; because they are not enthusiasts. The majority of BMW 1er owners bought their car for other reasons. Only a small percentage actually cares about RWD, and these guys can either keep their 1st/2nd generation 1ers or move up to a 3-Series if they so desire RWD. The closest thing we have to a successor to the clown shoe. That is, if it were actually sold in the US. Just be sure to set aside funds for a 2nd engine, turbo rebuilds, and other worst case scenarios. You’ll be on your own.